Here are the year's most extraordinary wine professionals and the bottles that tell their stories. This Master Sommelier is a Finger Lakes change agent: focusing on Syrah and Cabernet Franc instead of the usual white varieties at his Element Winery; operating a fancy hot dog stand (FLX Wienery) with an inappropriately excellent wine list; and launching a new 12-seat restaurant (FLX Table). In college I was really into Scotch, so my dad gave me a few wine magazines to check out. One reviewed a vertical of Dow's port; I started searching for the '63. That was the first bottle that pushed me into wine geekery and searchery. In 1945, Gaston Huet was freed from a concentration camp, and he walked all the way home to Vouvray—then set about making one of the greatest wines in the world. I searched for years to find the bottle I have in my basement. This is what I want to drink 90 percent of the time. Everyone in Muscadet is clamoring for a more opulent style right now, but L d'Or has remained traditional–not too fancy, too ripe, too concentrated, or too textured. Although she runs the wine programs for five restaurants (and has a new wine shop, Helen's), she's made each exhilarating in its own right—from the aged Burgundies at Animal to the Austrian wine- and Champagne-dense list at Son of a Gun to the affordable selections at Jon & Vinny's. I never really understood what Sangiovese could be until I had this. I'd had plenty of Chianti—bad and good—but this was different; it isn't defined by the rules. Tasting wine with Hubert Lamy in his cellar last summer was amazing. He's one of the most intensely specific and regimented grower-producers. His wines were clean and precise and on their path. There was this truth to them. Northern Rhône Syrahs are so great with Animal food. I brought this wine in and poured it by the glass—even though it was too expensive to pour by the glass. It changed my perspective, and my staff's perspective, on what northern Rhône Syrah is: playful, peppery, bright. This wanderlust-struck sommelier, who travels the world to meet producers, has created a wine program that's approachable, educational and innovative. He presents some of his wines visually along a flavor-and-color spectrum and sells everything to stay or to go, priced accordingly. Made from some 250-year-old vines, this is the best example of Albariño—period. When I visited winemaker Gerardo Méndez in 2012, we ate crab that had just been caught that afternoon. Then he poured this wine into the crab and had us drink it as a soup. The most incredible pairing. Unlike any other Sauvignon Blanc in the world. The 2009 saw botrytis, oak aging, skin contact—and it pairs with pretty much anything you throw at it. I visited the winery in Slovenia in 2012, and it was incredible to taste with two generations, Edi and Aleks Simcic, and have them open their home to me. Last year I was in Spain, at El Maestro Sierra, and tasted with Jerez cellar master Ana Cabestrero. This is what I call a "unicorn" sherry because it's so rare; the youngest wine in this barrel is 65 years old. I measure all other sherries against it: "Is this 20 percent as good? 50? 70?" She's taken over a 30-year-old Italian wine program and revivified it in a thrilling way. She's also brought her ambitions to bear on the newly renovated Cafe Spiaggia, centering the list on wines from female winemakers and winery owners. When I moved to New York, I'd go sit at the bar at Veritas. Occasionally, one of the sommeliers would give me a taste of something great. Once, I went with my boss and a collector friend and we ordered this wine. It's the perfect harmonious balance between strawberry, raspberry, dark earth, mushroom, smoke—to me, that's everything an iconic Burgundy represents. From the onset of my wine studies, I'd been reading about Rayas, a tiny producer heralded as the best of Châteauneuf-du-Pape. I finally had a bottle at a four-hour lunch at the Modern in Manhattan. It was ripe, with no new oak and insane depth, and there was no end to the finish. What's crazy is that it drinks like a Burgundy, so bright in color, but the fruit is so extracted in comparison and so vivid. I wasn't used to drinking older vintages early in my career, so those experiences were memorable. What's cool about Emidio Pepe is that he holds back vintages, so you can get verticals starting from, I think, the '50s or early '60s. That the '82 was the current release was mind-blowing. This is a family that has been making wine for five generations, all by hand. This former opera singer has created an ingenious wine bar where Houstonians congregate for his daily-changing by-the-glass list, and other sommeliers drop by to take part in tastings and study groups. Keck's not-so-secret agenda: to turn them all into Syrah lovers. When I graduated from high school, I visited Vienna, where my brother was living. The hills outside the city are filled with heurigen, traditional taverns where families serve their own wine and food. I was 19 years old and totally charmed by the wine culture: sitting outside drinking superfresh wine all day with Wiener schnitzel. In New York, I had an opera coach at Juilliard who'd been going to France since the '70s, back when you could knock on people's doors in Burgundy and in the northern Rhône and just hang out. He invited me for dinner, and I brought a $15 Syrah. His partner, being super-­gracious, said, "That's lovely, but if we're gonna have this, we should open this"—and brought out a Côte Rôtie. He said, "This is Syrah from one of its most hallowed sites." I'm not one to fetishize wine, but experiencing this was such an unbelievable moment for me. I was working an event and was pulling from a cellar that [star sommelier] Larry Stone had put together years before for The Wine Forum [a nonprofit philanthropy]. We opened this magnum. And even though we'd been running around, everything stopped for a minute. I went to France to sing and study with a teacher in Nice and took a couple of weeks to travel to taste wine. In Burgundy, in Marsannay, I tried a bunch of rosé at a time when rosé was still kind of a new thing for me. I bought a bottle at Derey Frères and went back to my little hostel in Dijon with some cheese and bread—and I remember drinking that bottle and thinking, This is life right here. This second-generation restaurateur—who started busing tables at age 14—oversees one of the country's great Italian-wine lists at his family's Acquerello. He's also made forays into other wine regions at his own 1760, keeping markups low so customers feel free to experiment. Bordeaux rarely satisfies my hedonistic side. But when I was 16 and working as a busser, Wilf Jaeger (who is now my partner at 1760) offered me a glass of this. I knew nothing about wine, but I was shocked that one so old could be so youthful. I remember going home, looking up the price online and discovering this wine cost as much as $16,000 a bottle. That was the first time I thought that maybe I should take wine a little more seriously. I had just started working as a sommelier at Acquerello, and I thought Barolo was always tannic and rough. But this bottle defined elegance. I could have smelled it forever without drinking it. The flavor was clearly Barolo, but the texture spoke more of Burgundy. In retrospect I think it helped inspire me to use a geographic format for the Barolos and Barbarescos on the wine list at Acquerello. My dad is an old friend of Angelo Gaja. When I was born, Angelo sent him a futures certificate for a case of this wine. Aside from the deliciousness of the wine, the gesture serves as an example of the warmth and generosity Italians are famous for. I sold a bottle to a regular at a point when I was young and my confidence spoke more loudly than my lack of experience. When I tasted it, it took me to a time and a place. It smelled of fall in a cold land: spices, tobacco, dried roses, and a bit of grippy tannin holding it together. 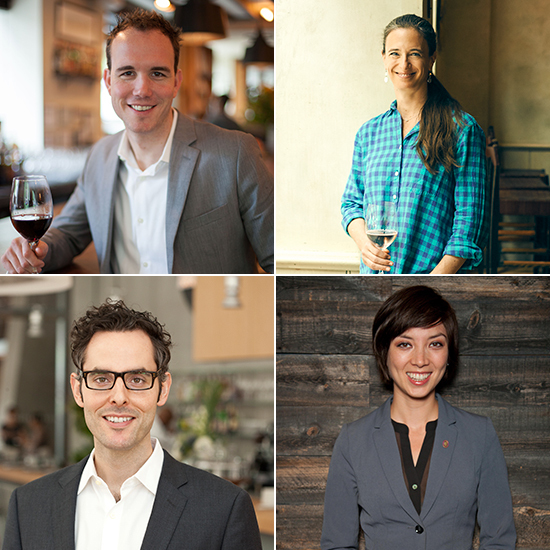 For the first time ever, F&W is awarding a Sommelier of the Year honor to an entire restaurant group. 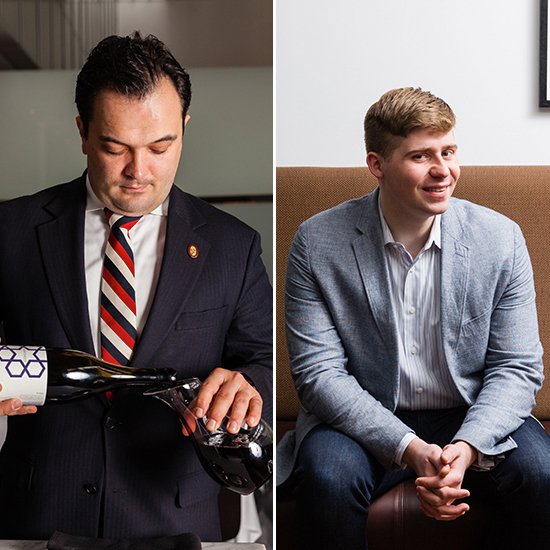 While Danny Meyer's New York City places have always had tremendous wine programs, they've become even more extraordinary of late under director of wine operations John Ragan and these six sommeliers. "We're constantly asking, Is this wine telling the story of what the restaurant's trying to do?" says Ragan. "That might be great Italian wine and Champagne to go with pizza at Marta, or old-vintage, old-school California at North End Grill." Here, the USHG sommeliers share the story behind one personally meaningful wine. I have memories of tasting 1989 and 1990 Riesling Vendanges Tardives when I was a child in Alsace at Christmas. While it's easy to fall in love with the sweet stuff, and it was Christmas, and I was with my family, those memories definitely had an influence on my life. One of my regular patrons and friends from Houston came to New York and wanted to take my wife and me out to dinner. We started the evening at Per Se with Oysters and Pearls and this bottle. Up until this point, my wife wasn't crazy about Champagne, but the Krug changed her view. To me it represents how great it feels to share my passion with someone so close to me. I was already a sommelier, but this Burgundy made me realize how little I really knew. I had no idea d'Angerville once produced a Les Chevrets. I saw that memorizing wine facts did not equal wine knowledge. Tasting, traveling and gaining experience were the only ways to really learn. It was my first week as a waiter at Gramercy Tavern, in August 2000, and I was cowering in my new front-of-the-house pilgrim suit. At family meal, wine director Paul Grieco poured this bottle. It electrified my palate and changed my life. My father opened a half-bottle when I visited him in Paris on spring break. It was the first time I ever had seared foie gras and the first time I ever had Sauternes. Realizing I had so much to experience, I thought I'd maybe want one day to make wine a big part of my life. This was one of my first favorite wines; I loved that the story behind it was of a family that defied the laws of the appellation and continued making wines in the way they felt was honest and true. Plus, it's magic with anything that comes off the grill.